It’s Sunday! The only thing better than any old Sunday is a sunny one, and today is one out of the box: clear, blue skies with just just a gentle puff of a breeze to flutter the spring leaves. It’s the sort of day that makes you lie back in your seat, kick off your shoes, and survey the Homestead through half closed eyes (all the better for filtering out the half-done jobs and tasks-for-another-day). That is, of course, once the animals have been fed and cleaned out, and Geraldine has graced the milking stand. There are, however, two other chores that must be undertaken every Sunday without fail or…well, we just don’t want to even contemplate what would happen if they were ignored. and if they don’t like it, their putting on a very good show. So, with the chicken’s otherwise occupied, the way is clear for the ducks to enjoy their bi-weekly treat of a clean pond. You’d think animals who so obviously prize pristine bathing conditions, would put more effort into maintaining reasonable water quality. But, no; the phrase mucky duck is entirely apt. Maybe it’s all a deliberate ploy: the grubbier the water prior to Sunday clean-out the more glorious that very first clean-water dip. Or maybe we’re just over- thinking things again. 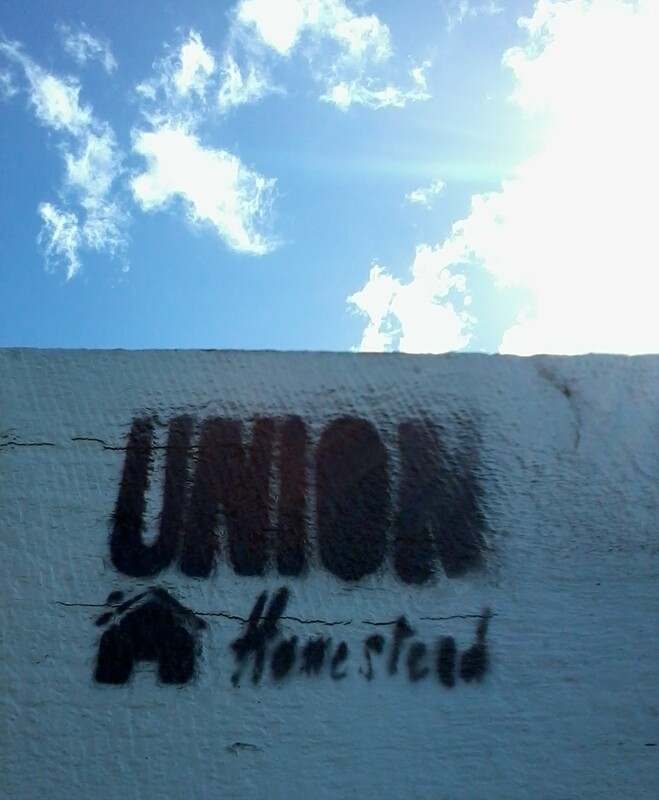 This entry was posted in Chickens, Ducks, Union Homestead and tagged animal, animals, Aotearoa, caring for animals, Chicken, chickens, chore, chores, Christchurch, DE, Diatomaceous Earth, duck pond, ducks, farm, Homestead, Homesteader, homesteading, NaBloPoMo, New Brighton, New Zealand, Otautahi, poultry, relax, relaxing, small holder, smallholding, Sunday, urban farm. Bookmark the permalink. 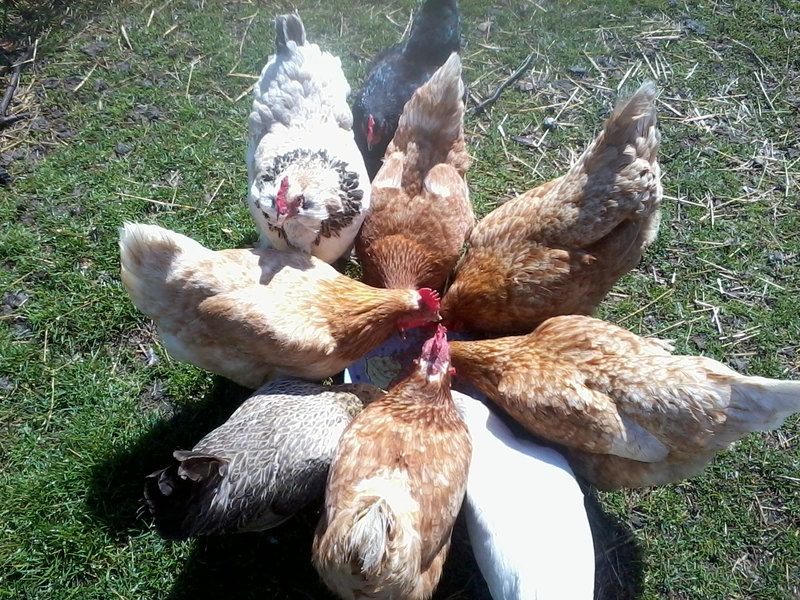 Cat food is also good for when the chooks are moulting, apparently, because of the high protein content. I haven’t used it, but I’ve read that more than once. I think they’re talking about the dry kibble though. The fact that you’re mashing the DE into the food implies you’re spoiling those birds with canned stuff. No wonder they like it. I’m fascinated by the duck pool. The removable insert is brilliant, but it’s set into – a hole lined with bricks? A box? And oh, that sunshine you’re sitting out in…that’s a thing of the past for a bit round here…my laundry was out on the line all day and came in almost as damp as when it went out, thanks to the dank, damp, greyness of November in my corner of the North. Chickens always complain. I think it goes with their firm belief that every other hen has a better morsel than the one they have. Rather you than me I must say though everyone to their own. My habits and those of the ducks show some correspondence. I can go into a perfect;y clean and tidy room and leave it looking like a pigsty in a very short space of time. Interesting tip about feeding chooks cat food. Where would I get Dia, Diatomu, diawhatsit from? We buy ours online – surely if we can get it here you’d be able to source it. It’s a pretty awesome product – we use it in their nesting boxes, food, the goat houses and food, and to dust the chickens for mites, too. Thanks for that I’ll give it a go. 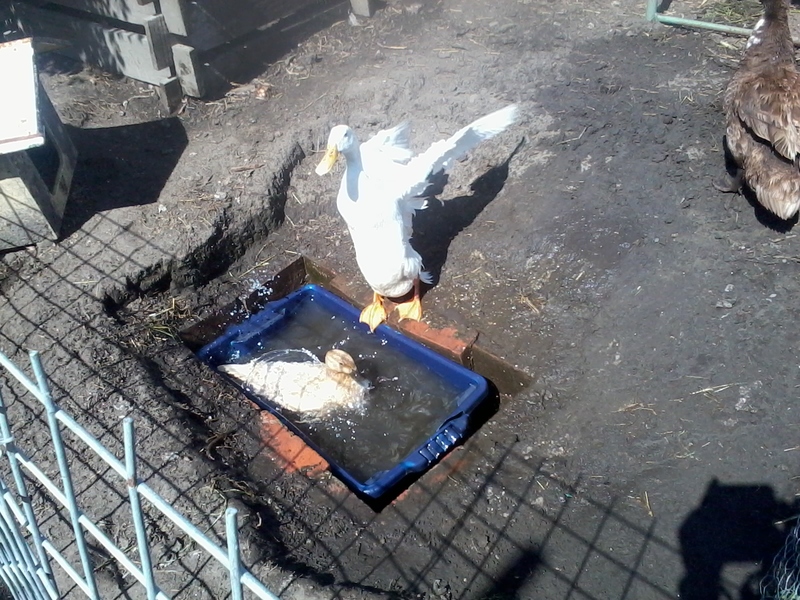 I love watching our ducks when they get fresh bath water. They get so excited even though they have a creek running through the property that they can play in any time they want.